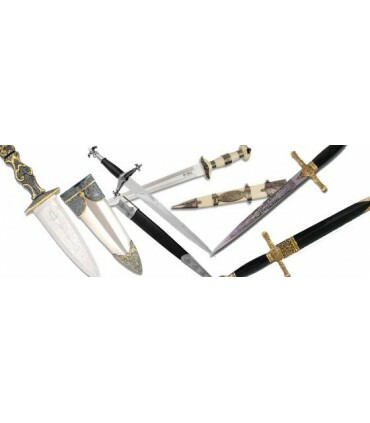 Daggers There are 214 products. 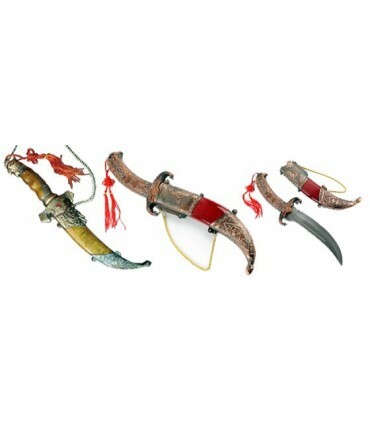 Arab Daggers feature an unique design on both sides of the blade (straight or curved) and its handle (with Arabic symbols). 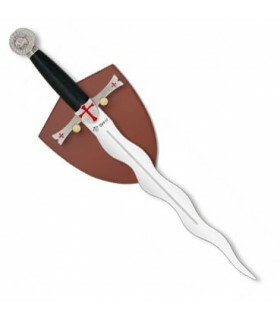 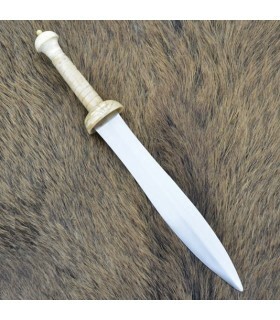 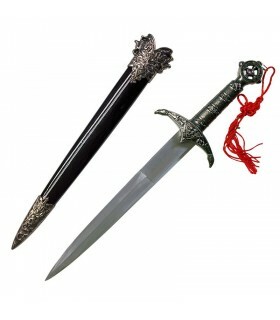 Janbiya, also spelled janbia, jambiya, and jambia (Arabic: جنبية‎ janbīyah), is the Arabic term for dagger, but it is generally used to describe a specific type of dagger with a short curved blade that is worn on a belt. 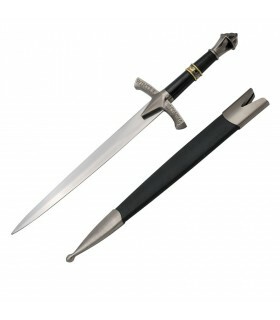 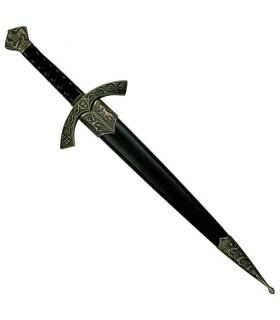 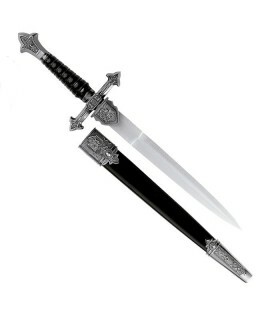 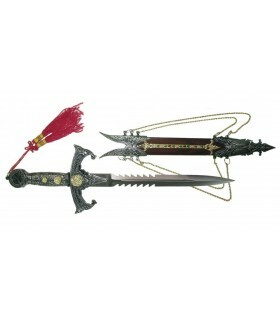 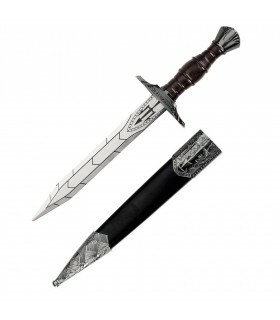 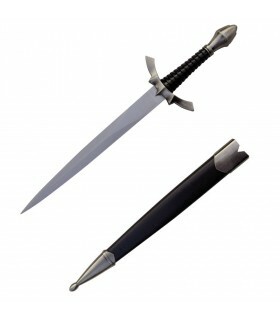 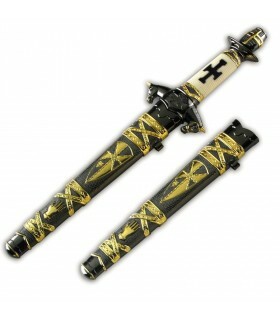 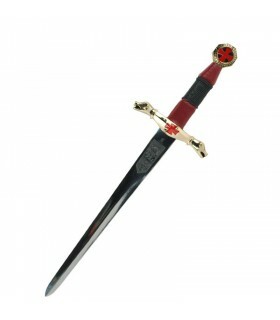 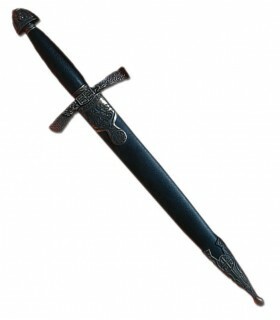 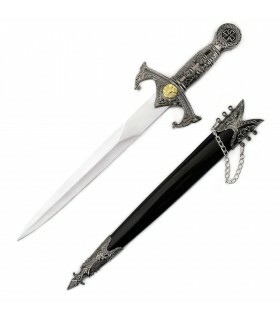 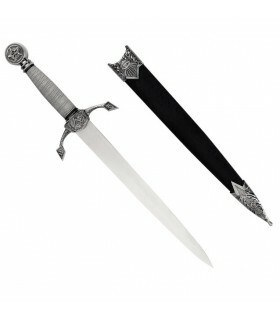 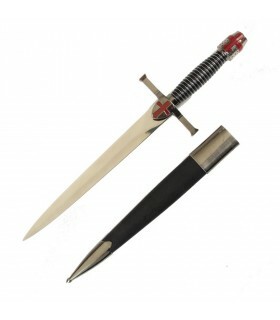 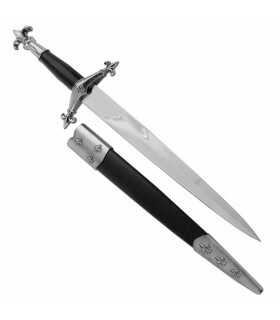 Fantasy daggers from movies, comic books, anime, manga or stories. 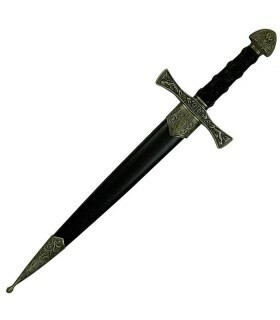 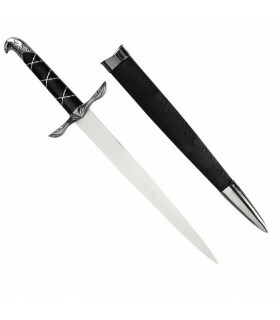 A dagger is a fighting weapon with a very sharp point designed or capable of being used as a thrusting or stabbing weapon. 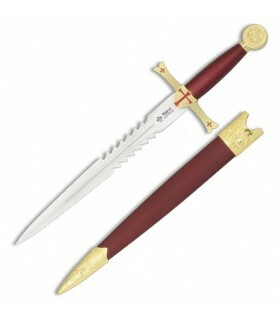 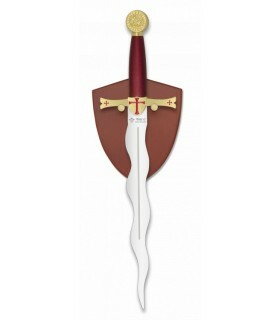 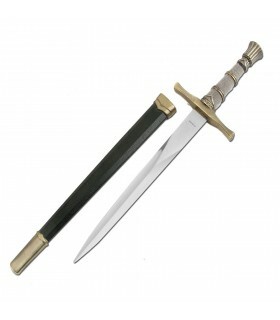 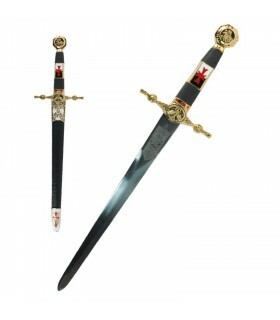 Replicas of historical swords that have been used by famous warriors (Romans, Greeks, Templars, Freemasons, etc.) 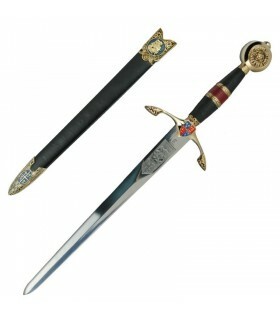 and other prominent people (Carlos V, El Cid, Napoleon Bonaparte, Solomon etc.) 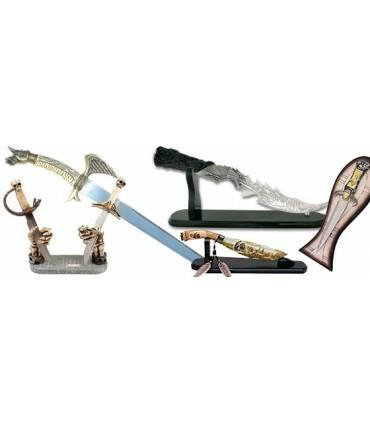 during battles. A dagger is a fighting weapon with a very sharp point designed or capable of being used as a thrusting or stabbing weapon. 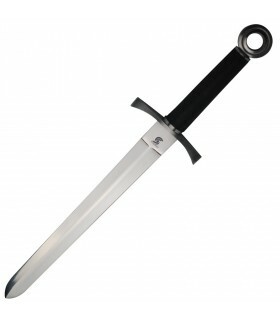 Crusaders combat knife stainless steel (to choose with or without pod). 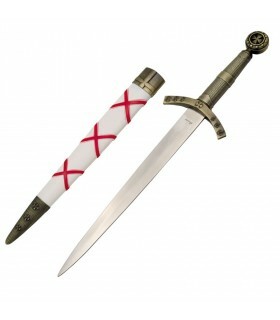 Medieval dagger with scabbard, 40 cms. 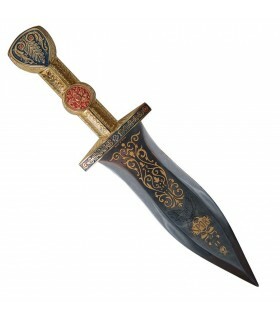 40 cms medieval dagger. 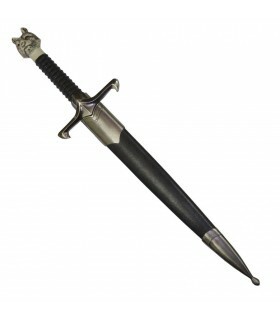 long with stainless steel sheet, brassed guard and handle with imitation thread. 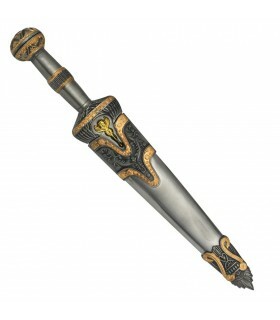 It includes leather sheath with metal tips. 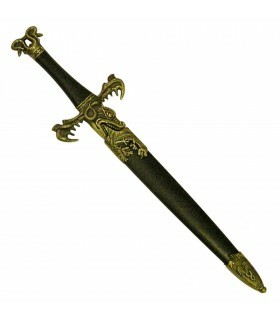 decorative medieval dagger with scabbard included. 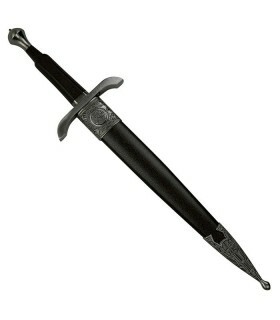 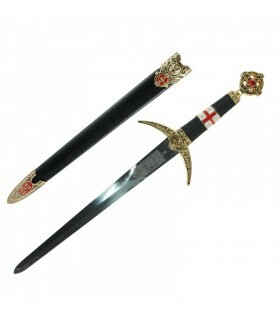 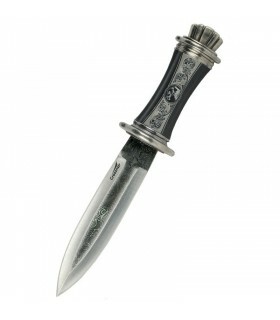 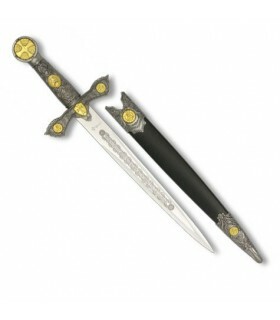 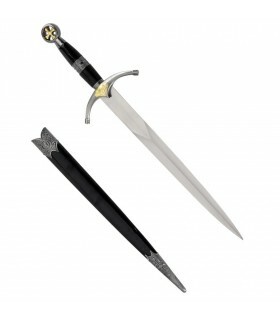 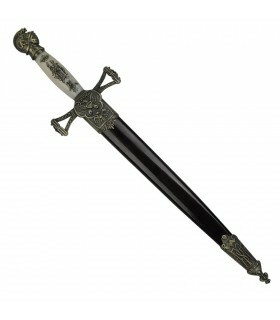 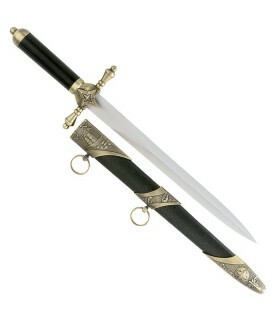 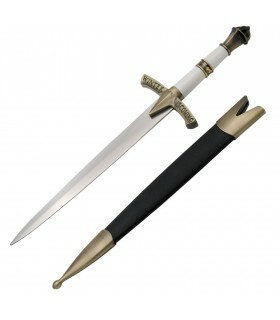 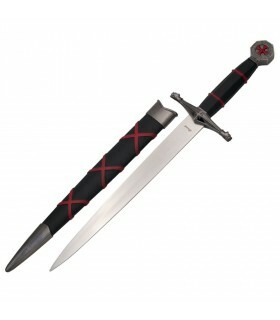 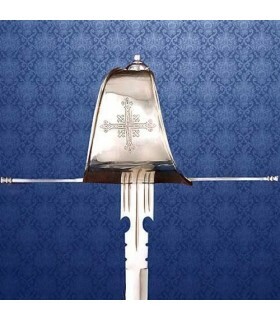 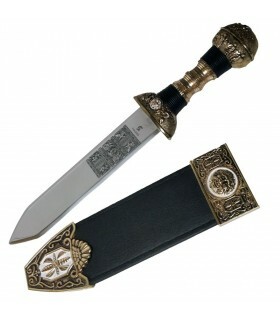 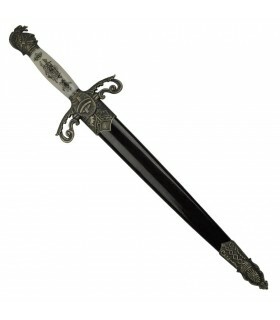 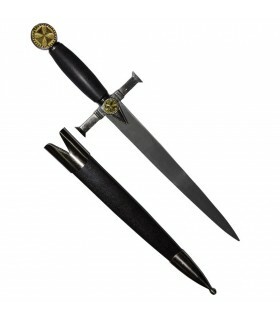 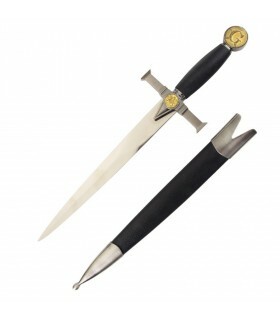 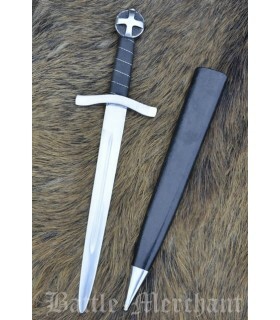 Carbon steel blade, metal guard and pommel with medieval designs and imitation ivory handle decorated.